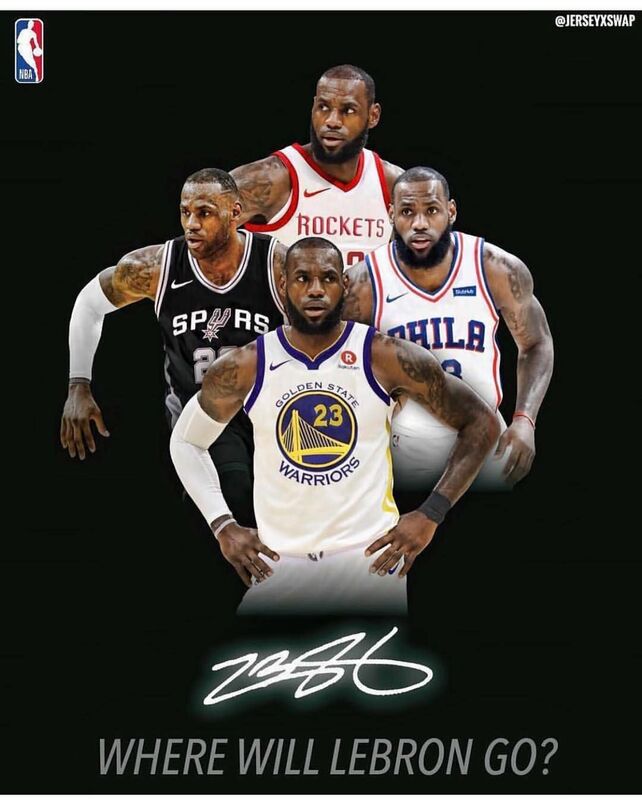 The Million dollar question on every NBA fans mind as we are in the midst of the off season is a simple one… Where will Lebron James play basketball next year? The answer… may not be as simple. Lebron James really has to take a long hard look at a few things. His legacy, his commitment to greatness, his family and his bank account. 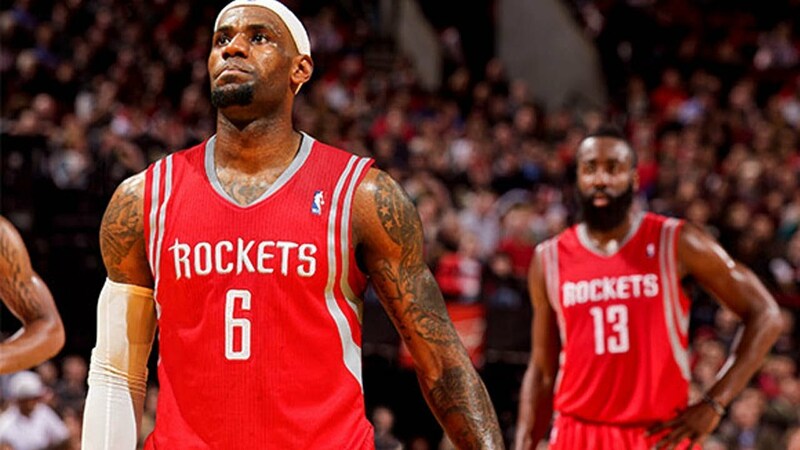 Whatever LBJ determines the most important factors to him will govern his decision this summer. We personally don’t believe he will sign July 1st as the “Summer of Lebron: Part III” may truly take all summer. Let’s take a look at each of the teams who are believed to have a realistic shot at landing James this summer and then we will give our pick on where we believe he will sign. The idea of Lebron signing with the Lakers has become more and more a reality with the recent news of Spurs forward Kawhi Leonard requesting a trade from San Antonio. It’s been said that Los Angeles is his preferred destination. He’s also been seen living the suite life at a Dodger game recently leading to further speculation and also *cough* tampering *cough*. It would be a nice troll job if the Spurs shipped Kawhi to the Clippers. It is still LA, right? Nevertheless, let’s say Kawhi heads to the Lakers and they ship out enough parts and picks to still be able to take two max deals. That leaves the ability to bring in Paul George as well as Lebron James to pair with Kawhi. A caveat to landing LBJ will probably be having to ship Lonzo Ball out of town to get LaVar as far away from Staples as possible. They’d probably have to part with Kyle Kuzma and/or Brandon Ingram in any Leonard deal as well. If Lebron James stays in Cleveland, it will be all about the money. Cleveland can give him the most with a Super-Max deal and Lebron knows that if he takes it then he’s stuck in cap space hell for the next two or so years unless GM Koby Altman can conduct some wizardry. Signing with Cleveland would be the honorable thing to do considering Lebron is really the one who constructed this dumpster fire (See Kevin Love, JR Smith, Tristan Thompson etc.). The addition of Collin Sexton is definitely an exciting dynamic. If they can make the numbers and picks work, the Cavaliers could acquire Hassan Whiteside from the Heat. His time in Miami seems to be up and the Heat may be willing to take on a Kyle Korver or a Tristan Thompson in exchange for Whiteside’s services. Chris Paul has been a public cheerleader of sorts for making this possibility into a reality. Initial thoughts are that James Harden is far too alpha dog in Houston and the situation could become disastrous by February. Couple that with the fact that Chris Paul has far too many injury issues to make this a perfect match. However, if Mike D’Antoni can find a way to manage this cast and limit all three players usage and minutes rate throughout the regular season then this team could definitely challenge the Warriors in the Western Conference for the next 2-3 years. 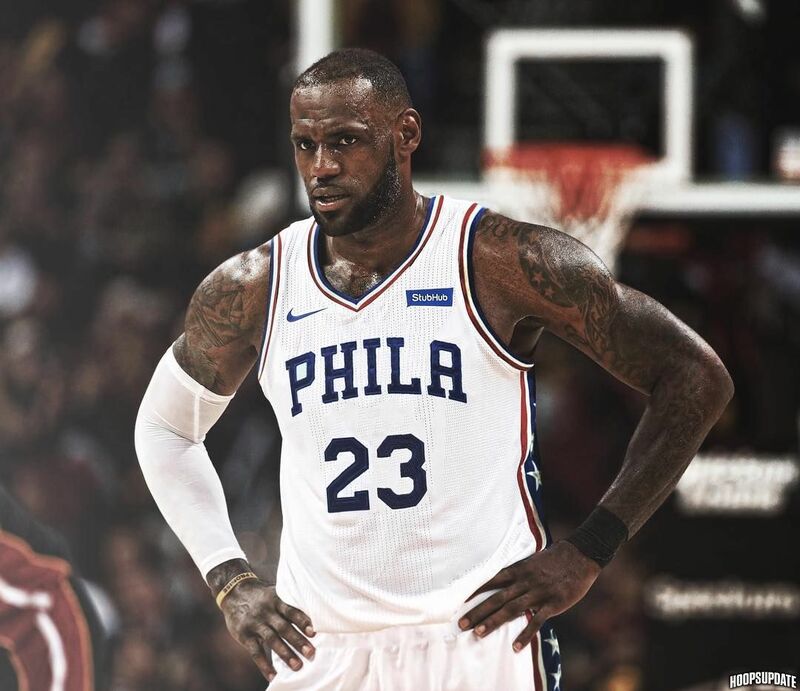 The most logical option, if James decides to leave Cleveland and chase titles, would be the 76ers. A team on the rise with two future superstars that dominate at their respective positions. In Simmon’s case, not many can defend a 6’10” point guard and for Embiid, there’s not many as athletic as him, when he is healthy. $34 million comes off the books with UFAs J.J. Redick and Amir Johnson unlikely to resign with the team. If they sign James they have 6 formidable weapons at any given time, barring Embiid’s health. Big caveat with this destination, obviously. Lebron would need to ensure that Kawhi Leonard would be staying in San Antonio. And for Kawhi, James may be that only piece that does exactly that (at least for this year). The cap would need to be finagled a bit so if James expresses a geniune desire to head to south Texas then at least 2 of the following 3 players would need to be moved: Pau Gasol, Patty Mills and LaMarcus Aldridge. My guess would be Gasol and Mills. Also that would mean Danny Green, Rudy Gay and Tony Parker would likely not be back as well unless they were willing to sign cheap to chase a ring. My guess is that Green and Parker won’t given that they already have rings. Our heart says the Spurs, despite the tough salary cap concerns and the uncertainty of Kawhi Leonard. Our head says the 76ers as he stays in the East, making it easier to reach the Finals each year, and has developing formidable weapons to challenge this Warriors team.